Paperblanks have been lovingly creating exquisite writing journals, day planners, address books, Paperblanks diaries and special memento and filing boxes for over 20 years. With acid-free, sustainable paper and 100 percent recycled binders, Paperblanks journals and all other products are environmentally friendly, in a range of whimsical, exotic and plaid designs to record your thoughts, memories, ideas and drawings. 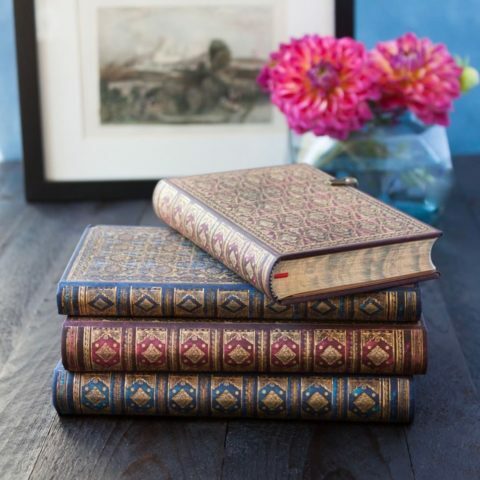 You can view the range of Paperblanks products we stock here at our One One Six giftware online store, whether for your own personal use or as a special gift for someone.